Rely on us for timely delivery as we are assisted with up-to-date transit facilities and logistics services. We keep the finished assortment of products in highly developed and spacious space. This helps us in keeping products secure and sorted. 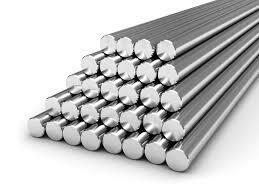 Our eminent grade Stainless Steel Round Bars are available in various diameters ranging from 2mm to 400mm.